A refraction microtremor (ReMi) survey conducted by Zonge International in the greater Honolulu, Hawaii area revealed basaltic bedrock could be encountered as shallow as 5 feet (1.5 m) to as deep as ~230 feet (70.1 m) beneath existing highways. 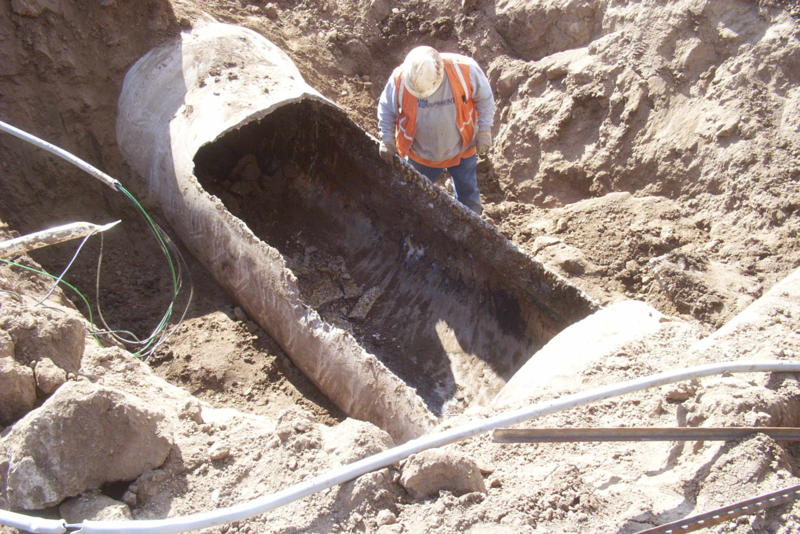 Based on historical boring data collected over many years in Honolulu, the depth to bedrock was anticipated to vary drastically across the project site. Nevertheless, assessment drilling begun before Zonge was contracted was hindered, and, in places, stopped altogether due to the need for higher-resolution information. Zonge conducted the seismic survey under subcontract to Geolabs, Inc. for contribution to their geotechnical assessment of the proposed Honolulu High-Capacity Transit Corridor Project (HHTCP). Objectives were to determine depth-to-bedrock and lateral variability of the soil deposits. Geophysical survey results also provided good information regarding the presence, lateral variation and extent of soft soils. The seismic data was integrated with geologic data to yield additional information. Geolabs provided geologic and geotechnical data in the form of boring logs, which assisted with the seismic interpretation. ReMi is a seismic surface-wave technique that does not require a borehole for modeling the vertical shear-wave velocity (Vs) profile of the subsurface. By recording a series of single-point ReMi soundings along a line, then plotting the results as a 2D cross-section, an image can be produced of both vertical and lateral variations in shear-wave velocity. Zonge selected the ReMi method for this project because data can be collected in very noisy environments and the resulting shear-wave velocity information can be used to distinguish between soil and bedrock. The method is not affected by the presence of a shallow water table, which was also important as much of the survey area was very near the coast. Data were acquired in traffic lanes, medians and along sidewalks in the proposed transit corridor. 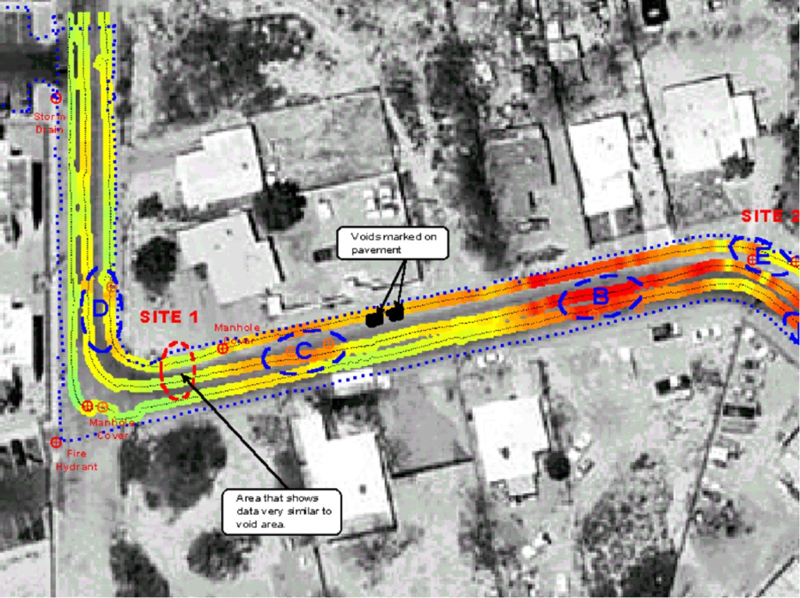 Survey line locations were dependent on crew safety, day of the week, and lane closure feasibility. Quality of the raw ReMi data ranged from good to very good, which can be attributed to the use of a backhoe and the low-frequency tidal energy present.